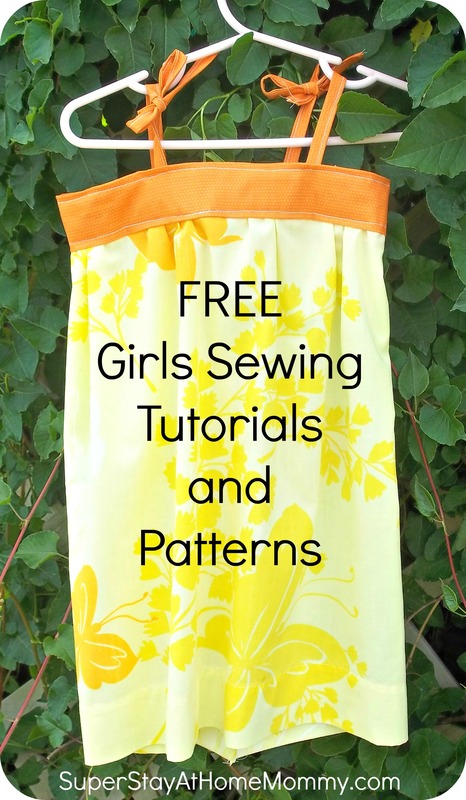 FREE Girls Sewing Tutorials and Patterns! | Super Stay At Home Mommy! « Meet the Newest Addition to Our Family! FREE Girls Sewing Tutorials and Patterns! Unfortunately, I have had NO time to do any sewing. It’s amazing how hard it is to find a moment to sit down and work on a project when you’re busy snuggling a 6 week old and chasing around a 2.5 year old. I have found myself daydreaming about sewing, and imagining what my first project will be when I can get back to my hobby. Like many others out there, the first place I search is Pinterest, and my Pinterest sewing board has become over-filled with TONS of great free tutorials and patterns. I figured, since I can’t sew right now, I’d take this opportunity to share some of them with you!! Thank you for linking to my Maxi dress tutorial! Honored to be included! I didnt see the tutorial for the one pictured. Wow! Such a great list! Thanks for putting in the work to find these!